After several reports of overdoses in Quebec caused by fentanyl—a synthetic opioid that can be deadly, even when ingested in minute doses—Dr. Carole Morissette, the medical chief of Montreal Public Health, issued a public warning on Jan. 12 urging recreational drug users to abstain from using cocaine and other powdered drugs that can easily be laced with fentanyl in its powdered form. The drug cannot be detected with 100 per cent accuracy by any testing method. Powdered drugs include any stimulant, depressant, or hallucinogen which can be ingested through insufflation—snorting or sniffing. This includes cocaine, MDMA, Adderall, and ketamine. 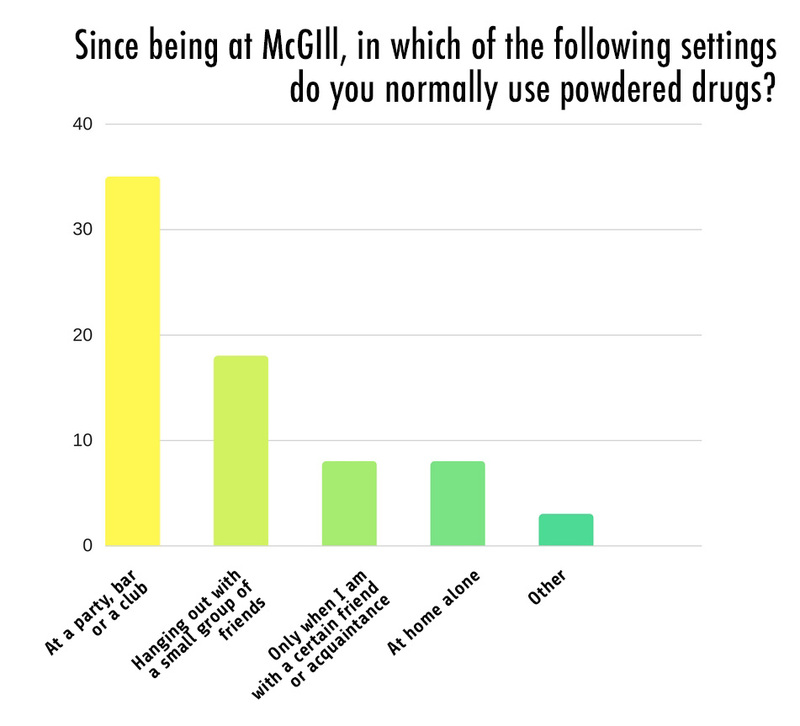 In a recent poll conducted by The McGill Tribune about powdered drug use at McGill, 42 students shared their experiences using powdered drugs at parties, with friends, and when alone at home. 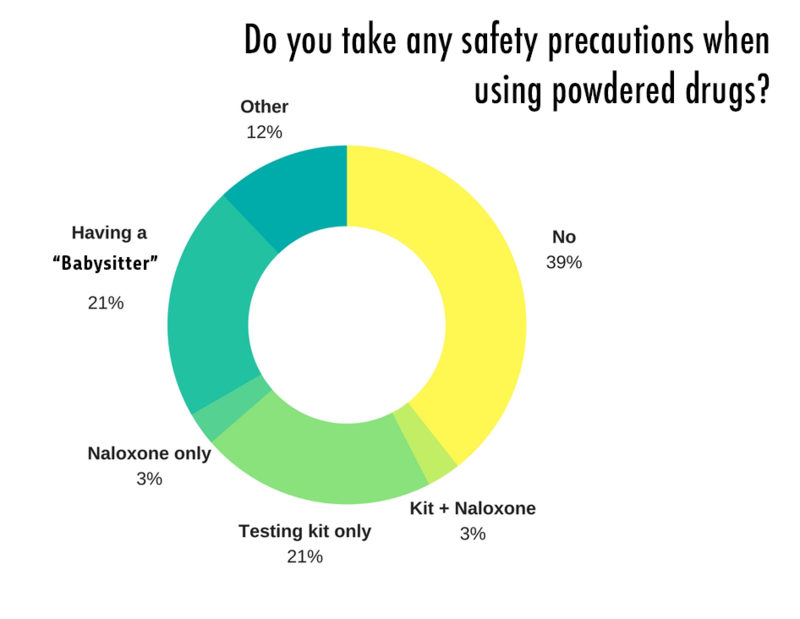 Thirty one per cent indicated that they take no precautionary measures when using powdered drugs, and only 19 per cent said they use a testing kit. 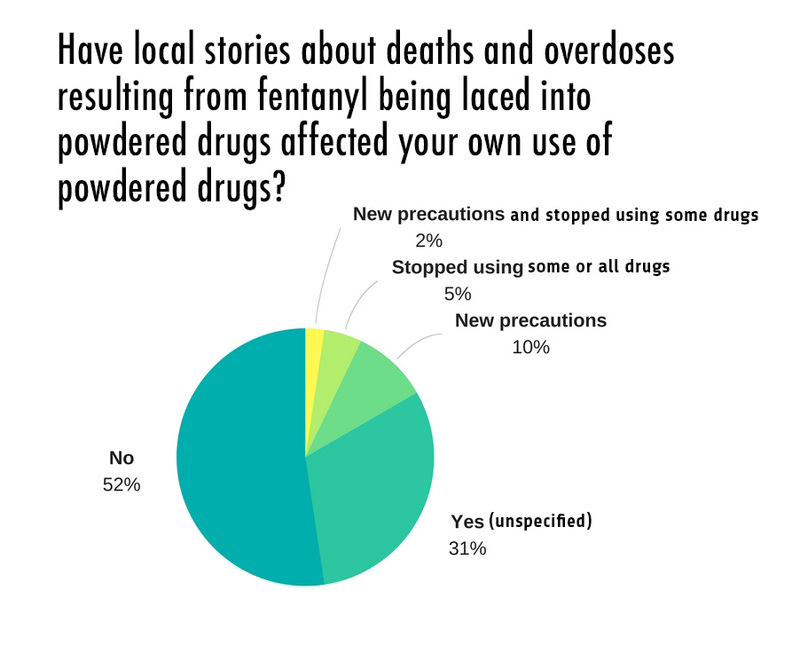 Forty per cent of respondents take no precautions when buying powdered drugs and 52 per cent said they have not changed their drug habits in response to the fentanyl crisis. 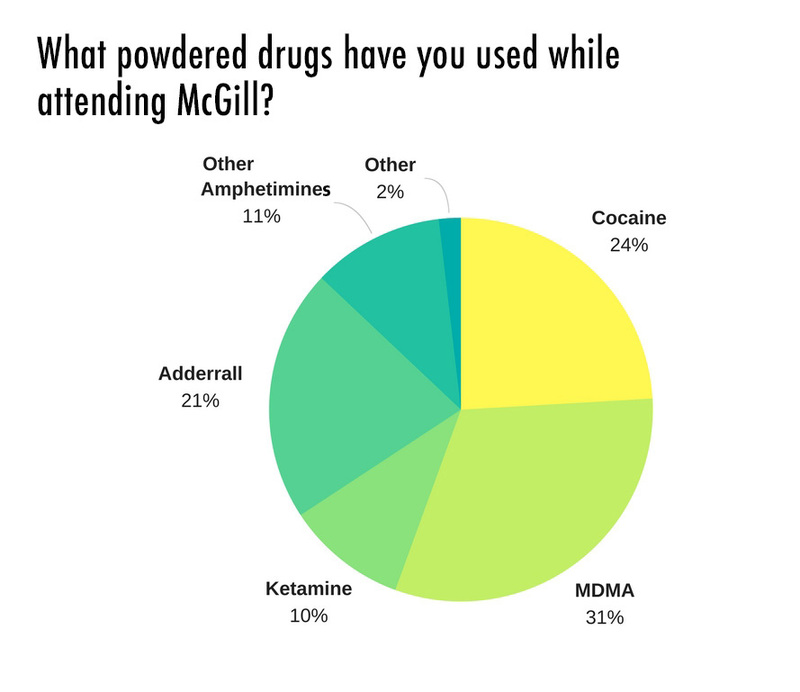 “I believe that people at McGill think [the fentanyl crisis is] only something happening in Vancouver,” an anonymous respondent wrote. Deputy Provost (Student Life and Learning) Ollivier Dyens approved funding for Student Health Services (SHS) purchases of naloxone, a drug capable of reversing opioid overdoses, and training for students, faculty, and staff on when and how to administer it. 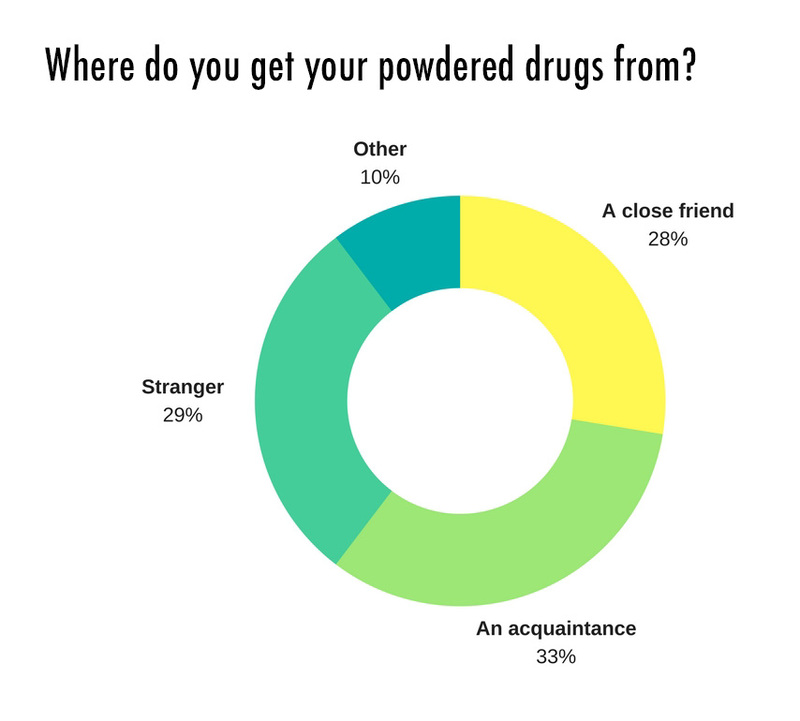 According to Director of SHS Hashana Perera, SHS does not often treat students who are under the influence of powdered drugs. However, she expects that the service is preparing for that to change. Perera explained that it is impossible for users to determine whether a fatal dose of fentanyl has been laced into their powdered drugs. Perera expressed concern about the potential effects of fentanyl on students, and is currently preparing information campaigns about the drug explaining the symptoms of and how to manage a fentanyl overdose. Perera explained that fentanyl poses an immediate risk to any powdered drug user. Medical services provide some assistance in the face of a growing fentanyl crisis. In an email to the Tribune, Alexander Dow, U3 Engineering, affirmed that the McGill Student Emergency Response Team (M-SERT) is prepared in the case of an overdose at organized drinking events such as Faculty Olympics and Carnival, where Dow worked as a committee organizer and witnessed substantial powdered drug use. “If we believe someone is at risk of overdosing […] M-SERT is equipped with fentanyl drug response kits and we ensure immediate responses if necessary,” Dow wrote. Promisingly, Dow noted that he has seen less powdered drug use at organized drinking events since the fentanyl crisis reached Montreal. what was the methodology of this “poll?” were the methods in any way statistically or even journalistically sound?